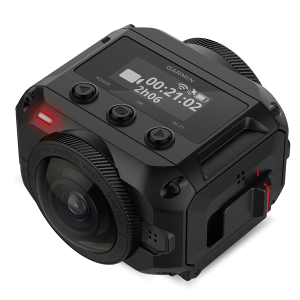 Up to now the gold standard for 360 cameras has been the ability to shoot at 4K video resolution. If a 360 camera can shoot video in 4K it’s usually considered “good”; but that could change with a new generation of 360 cameras that can shoot 5K and above. By the end of 2017 there will be three cameras that can shoot 360 video above 5K, representing a big leap in 360 video quality, which has sometimes been lacking. While each of the following cameras can shoot above 5K they are all very different, with different features and prices. The cameras I’ll be comparing are the Garmin VIRB 360, the Yi 360 VR and the GoPro Fusion. Let’s take a look at the specifications, videos and photos of these cameras and try and determine which is the best. So what do these specifications tell us? For a start there are some major differences between the three cameras. Video Resolution: Both the VIRB 360 and Yi 360 VR can shoot at a resolution of 5.7K, but the GoPro Fusion can only shoot up to 5.2K. Will this make a huge difference? Probably not, but the larger the resolution the better the video will look on larger screens and VR headsets. What’s more important for the quality of the video is how advxnced the lenses in each camera are. Stitching: While each camera can shoot 5K video, only the VIRB 360 and GoPro Fusion has software that can stitch video at this resolution. This means that 5K video shot with the Yi 360 VR will need to be stitched manually with another program. From experience I can tell you that this is a cumbersome addition to your workflow. 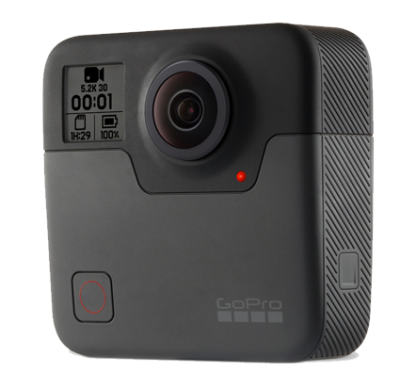 Photo capability: The GoPro Fusion seems to be able to shoot the highest resolution photos, however all three cameras are primarily designed for video. Stabilization: Both the GoPro and the VIRB feature 6 axis stabilization which ensures your video is smooth when you are moving. The Yi 360 VR features no such stabilization, so moving video may not look at good. Waterproof: Don’t take your Yi 360 VR underwater, because it won’t survive! The other two cameras are safe to take a for a swim however. Price: The Yi 360 VR is by far the cheapest at just under $400, where as the other two are far more expensive. I think the main difference between these cameras is that the VIRB and GoPro are action cameras, where as the Yi 360 is not. As the GoPro Fusion and Yi 360 haven’t been released yet, there’s less video publicly available to compare with. Once I get both of these cameras I’ll update this post with a direct comparison of all three cameras, but for now I’ll use what footage I can find to determine how good the video from each camera is. These videos are all very different and the one from GoPro is heavily edited for marketing purposes, so take it with a pinch of salt. The good news is that all of the videos look great in 5K resolution, which really is a big upgrade from 4K. The GoPro does look the best, but again this is a marketing video and may not represent reality. The Yi 360 VR footage is a bit flat with not a lot of dynamic rage, but this could just due due to the cloudy weather. It handles movement quite well even though it doesn’t feature any stabilization feature, however I still think this is a big omission and makes the camera less usable. This video was also shot on a pre-production model so expect the final product to perform better. As for the VIRB 360, I can personally vouch for its excellent video capabilities and recent updates have extended the capabilities of the camera. This is also the only 5K 360 camera to feature augmented reality overlays, which allows you to show data captured by the sensors in your camera on your 360 video. 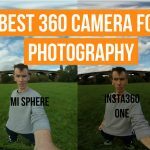 The camera does struggle in low light conditions, but otherwise this is the best 360 camera for video I’ve ever used. Both the GoPro Fusion and VIRB 360 come with a feature that allows you to manipulate your 360 video and turn it into a flat 1080p video. Each company has given this a different name, but it’s essentially the same thing. Here’s an example of what it looks like. This feature allows you to become a “director” and edit the camera angles to suite your needs. This is a new and innovative way to use 360 cameras and I think it’s going to become extremely popular in the future. The YI 360 VR does not have a similar feature, but there’s no reason why they can’t develop software in the future to allow it. Two of these cameras are quite similar and one is very different, and much cheaper. If you don’t want to spend over $400 then clearly the Yi 360 VR is your only option, and it seems to be quite a good one. This camera can clearly shoot excellent quality 360 video, much better than it’s 4K competitors. The down side is that 5K video is about the only outstanding feature on this camera, where as the Fusion and VIRB are stuffed full on extra features. If you were looking for more of an action camera then the choice is between the VIRB 360 and the GoPro. While the VIRB is more extensive, it can also shoot higher quality 360 video and has a really awesome data overlay feature. On the flip side, GoPro are famous for developing excellent software for their cameras, an area where the VIRB struggled. 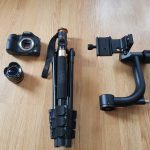 I have a distinct feeling that the VIRB has superior hardware whereas the software on the GoPro Fusion is going to win in the usability and software department. As soon as the GoPro becomes available I’ll be able to do a side by side comparison and settle this once and for all. The cheapest 5K camera and excellent overall value. Features spatial audio and superb video quality. GoPro's first all in one 360 camera. Multiple video modes and seamless 5.2K video. 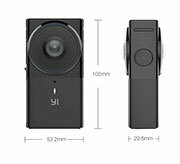 One of the best 360 camera for video and a certified action camera. Waterproof and shockproof with stabilization. I believe the Go Pro Fusion shoots video at 4.9k (4992×2496) so it may be more accurate to just round up to 5k, correct? 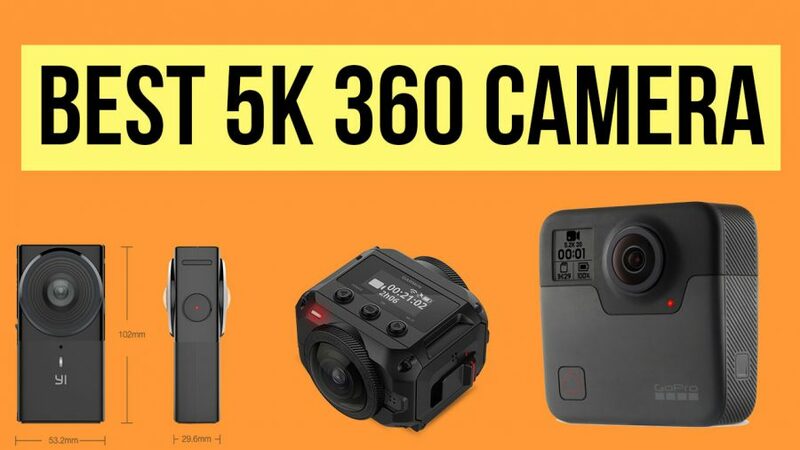 The company’s marketing effort to define their video as 5.2k has been quite successful but if you accept their rationale then the Virb and Yi become 6k cameras.